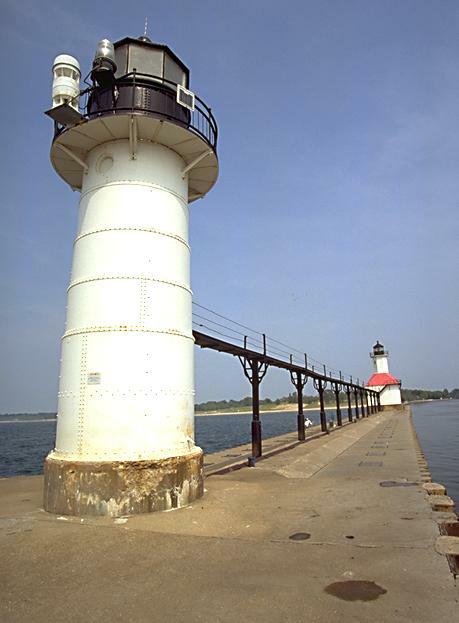 The St. Joseph North Pier Light was recently featured as one of five Great Lakes stamps released by the US Postal Service. 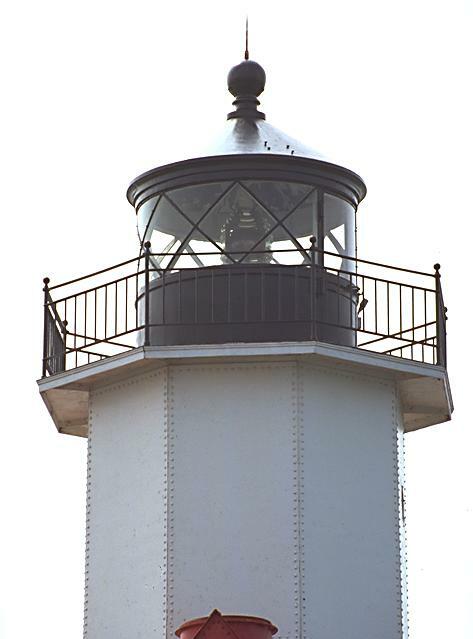 Constructed in 1907, the outer light is a 35 ft. tower with a Fifth Order lens, connected by a catwalk to the 57 ft. inner tower, which still exhibits a fixed Fourth Order lens. The catwalk connecting the two lights to the shore allowed the keeper to walk above the stormy lake waters to maintain the lights. 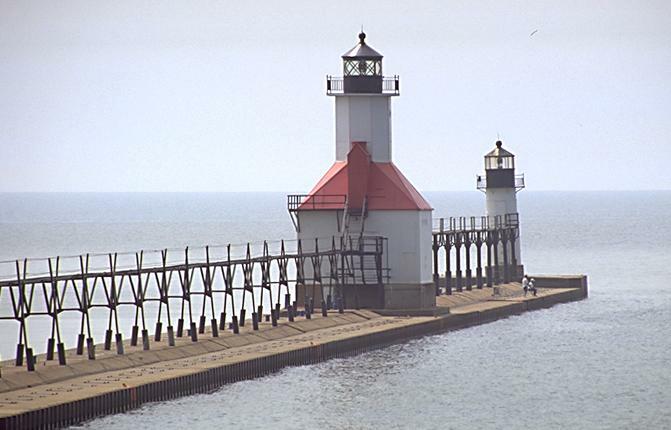 The nearby town of St. Joseph is one of many picturesque and charming villages along Lake Michigan's eastern shore. Tiscornia Park at sunset is often the place to be for beautiful views of the Lake, the lighthouse, and the sunset.